Here are details of my house that follows classical architecture rules. 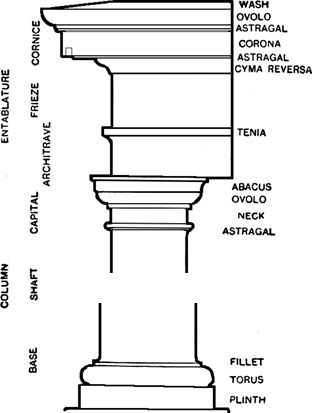 Tuscan Order columns are plain (non-fluted) and taper for the top 5/7ths. The diameter at the bottom of the round column is 1/7th of the column height. 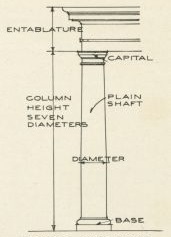 The column height includes the base and top, but does not include the Entablature. 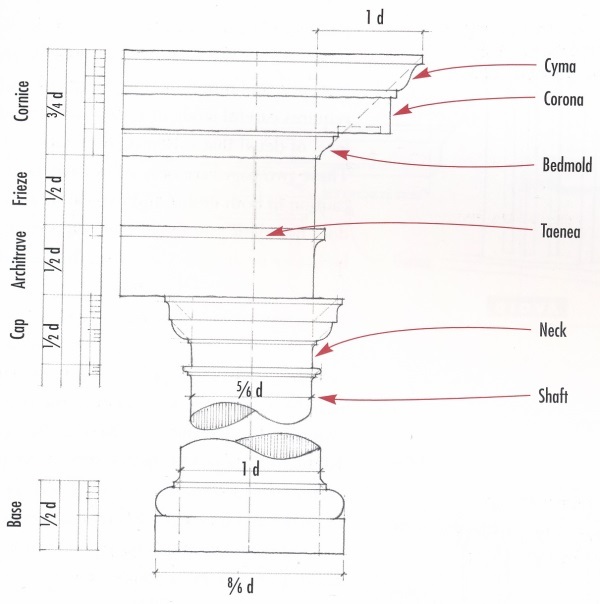 The diameter of the top of the column is 5/6th of the base diameter. Some interpretation is required for a particular building. Here are the dimensions I'm using for my house. I use a spreadsheet to calculate everything.